From The Hôtel & Spa La Belle Juliette take bus 95 at Rennes-Saint Placide to the Opera Garnier in approx 30 mn. The Opéra neighborhood takes its name from the celebrated Opéra Garnier, or Palais Garnier, that sits within the 9th arrondissement. The unmistakable facade of this beautiful opera house gives the area its character, especially at night when the lights of the building illuminate everything around it. The Palais Garnier was designed by the architect Charles Garnier and inaugurated in 1867. In 1923 the building, including its architecture and the interior and exterior decorations, was classified a French national heritage site. Merely the outside of the Palais Garnier can take one's breath away, and the inside is just as impressive. Visitors can discover the inside of the building by taking one of the guided tours offered by the Palais Garnier. One of the highlights of the interior decoration is the Grand Escalier, a large stairway that leads to the auditorium and the orchestra, among other places. 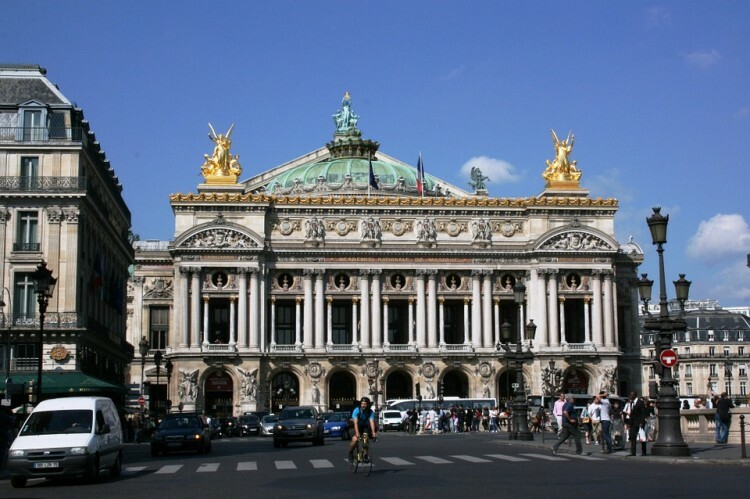 Even visitors who are not familiar with the celebrated architecture of the Palais Garnier may know the opera house from the book and musical The Phantom of the Opera, which used the building as its setting. Aside from taking a tour or seeing a performance at the Palais Garnier, visitors to the Opéra area can also take advantage of some great shopping opportunities. Most notably, the large Galeries Lafayette department store is just moments away from the Garnier opera house. The Galeries Lafayette represents yet another example of a beautifully designed building that visitors to Paris must get a glimpse of. Another department store, named Printemps, is located right next to the Galeries Lafayette and offers even more chances to indulge in French fashion. Plus, a wide variety of major retail brands can be found in the immediate vicinity.